Is the key to Earth’s future hidden in the empire’s past? Imperial daughter Aeternitas has vowed to protect the Earth and its people from the threat of war. But with an imperial battle fleet incoming, and no way to contact her mother, Aeternitas has no idea how to fulfill her oath. She suspects one of her sisters must be leading the fleet. But in order to prepare for the incursion, she must determine which one. Amaterasu suggests the answer to her conundrum might lie in the guardians’ recent past. One by one, they recount the tales of their entry into the empire, in hopes that one will hold the key to solving their mystery. These are tales of heartbreak and sorrow, none of them easy to speak. But they’ll have to work quickly if they want time to prepare. 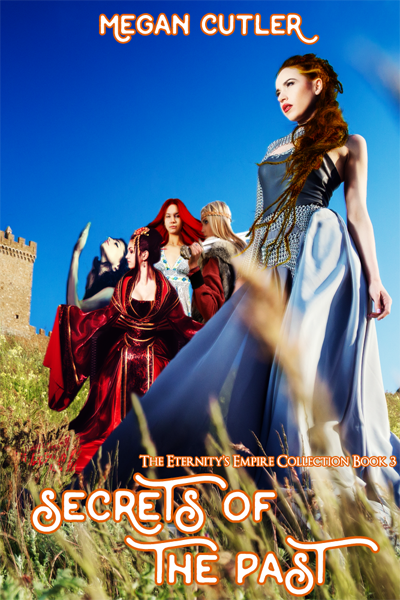 This book contains chapters 11-15 of the Eternity’s Empire saga (Lord Shiva’s Task, The Moon God’s Quarrel, Trickster’s Exile, Lover’s Lament, and An Imperial Daughter’s Woe), previously published separately.